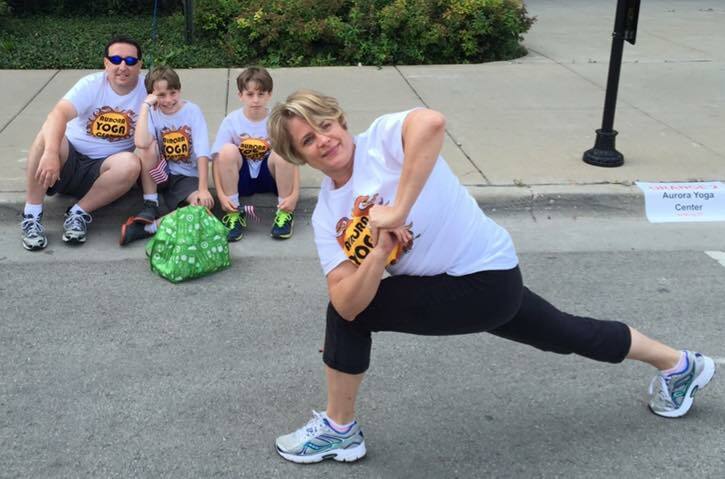 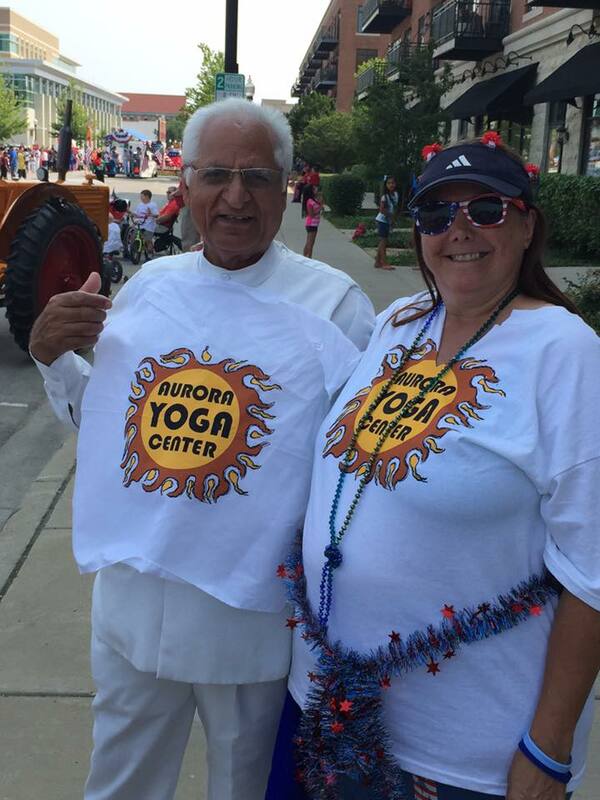 Yoga is for regular people: young, old, skinny, & fat. 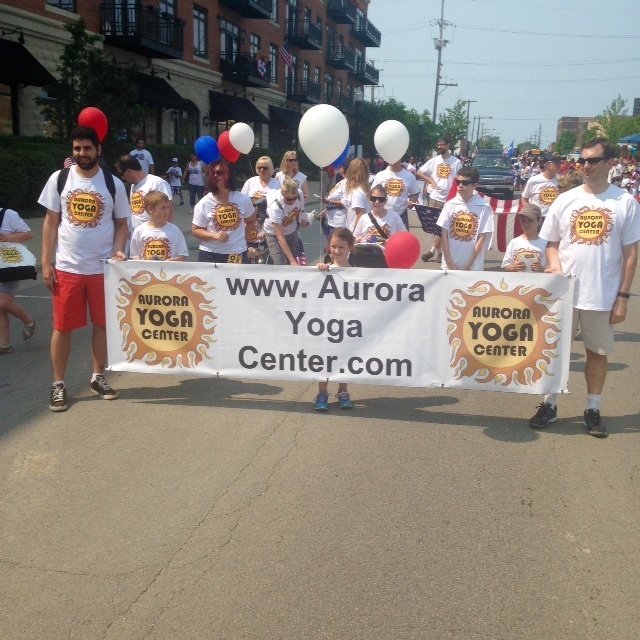 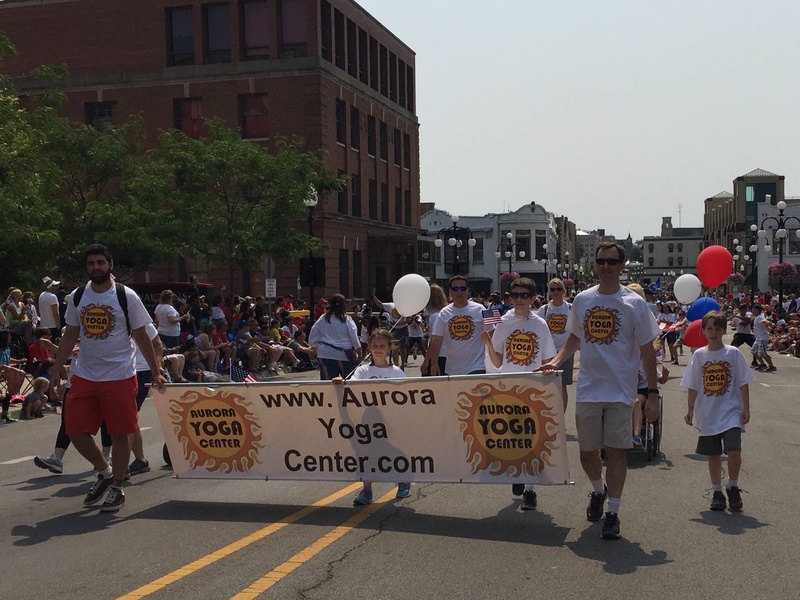 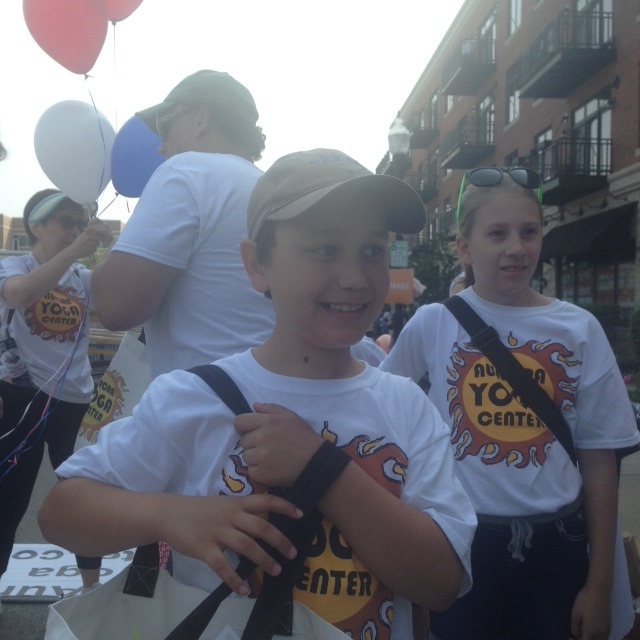 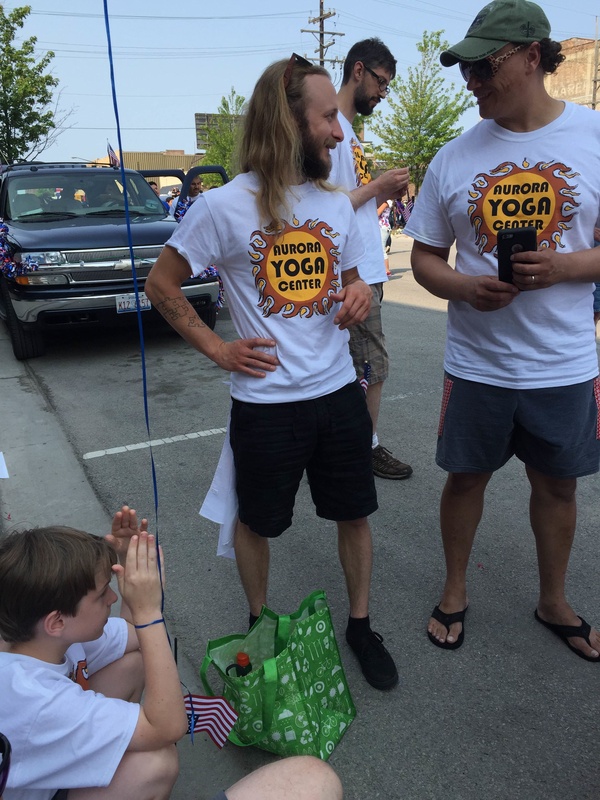 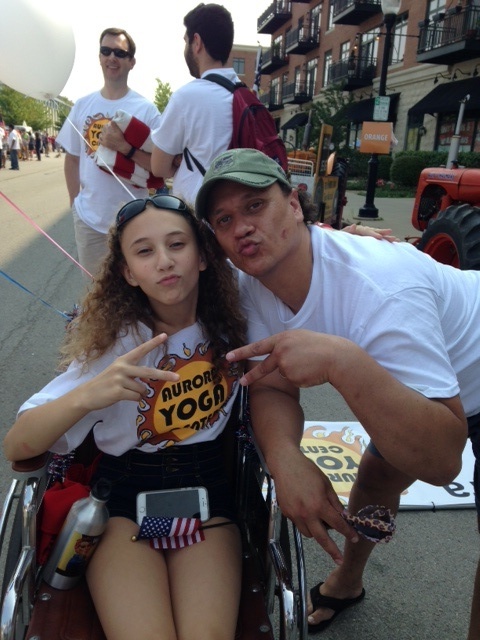 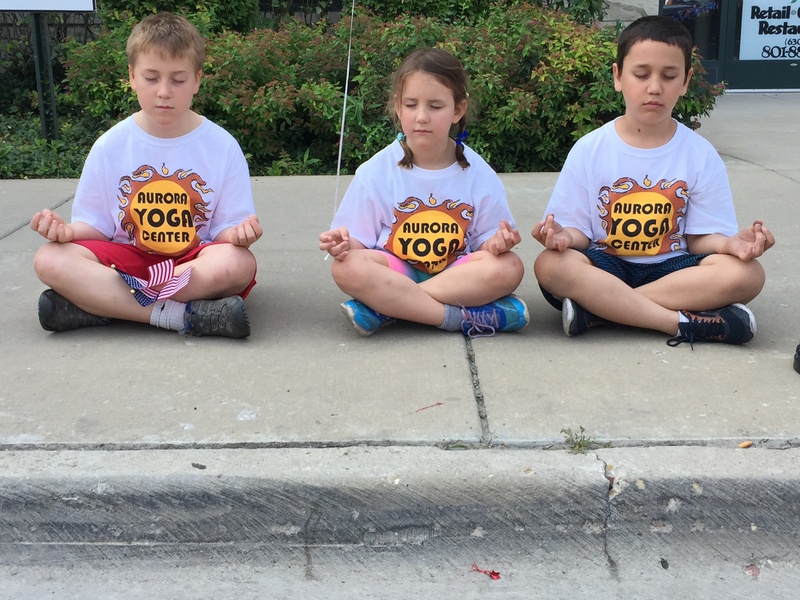 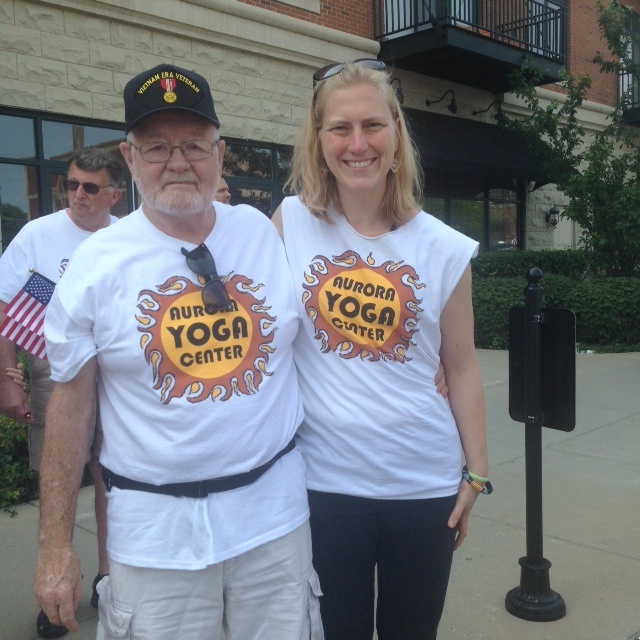 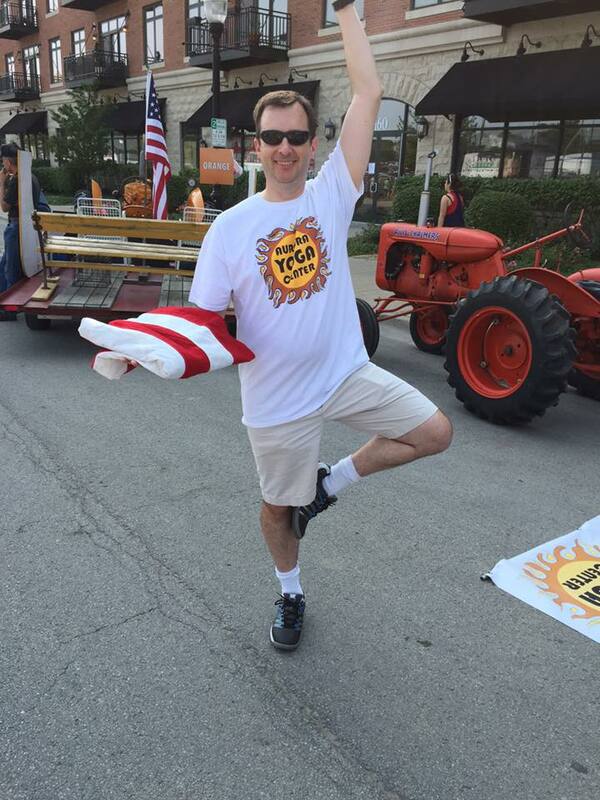 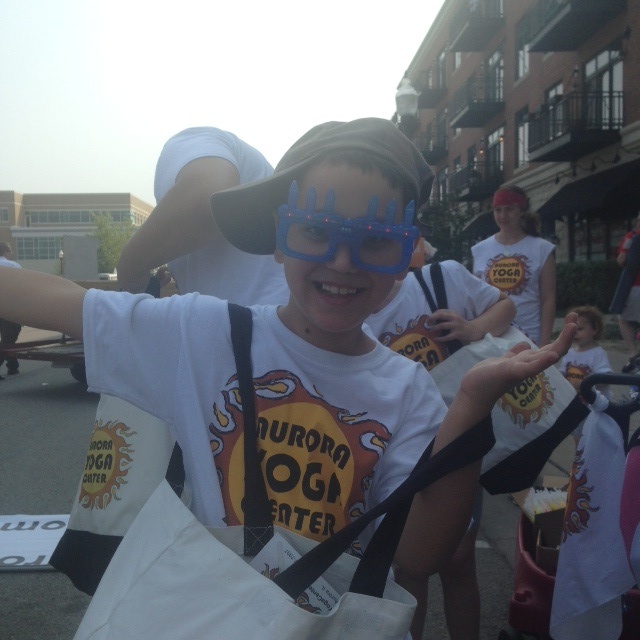 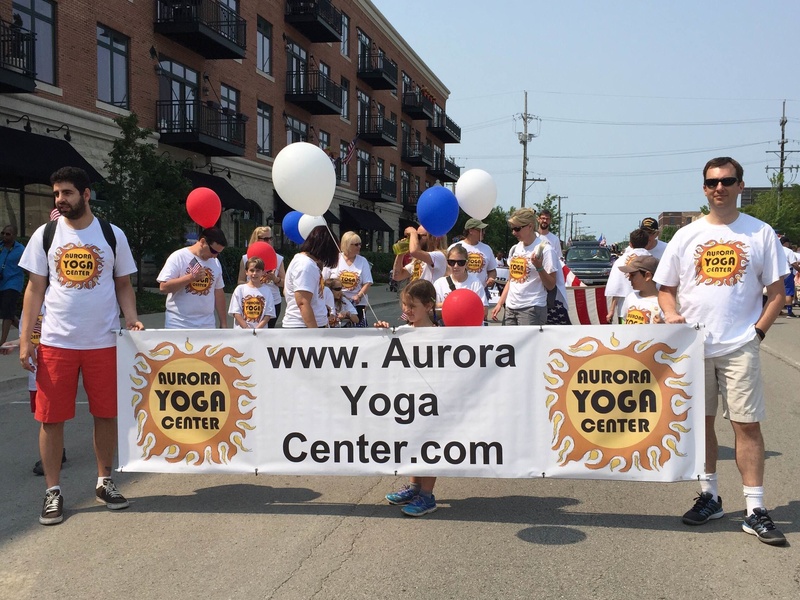 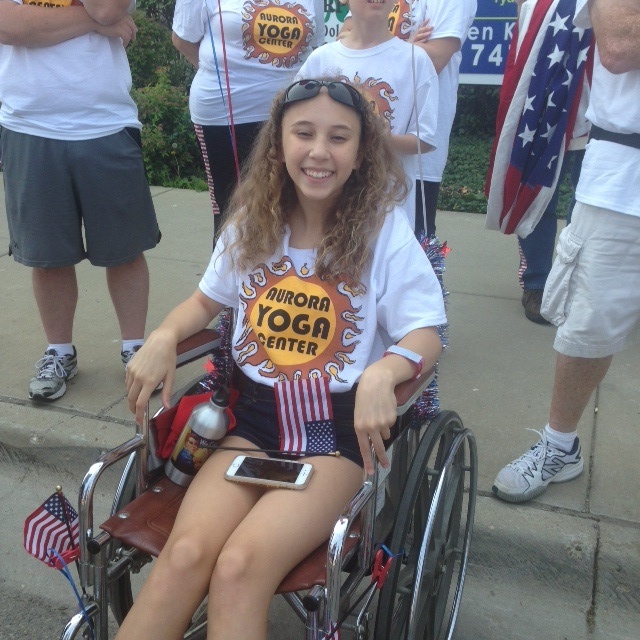 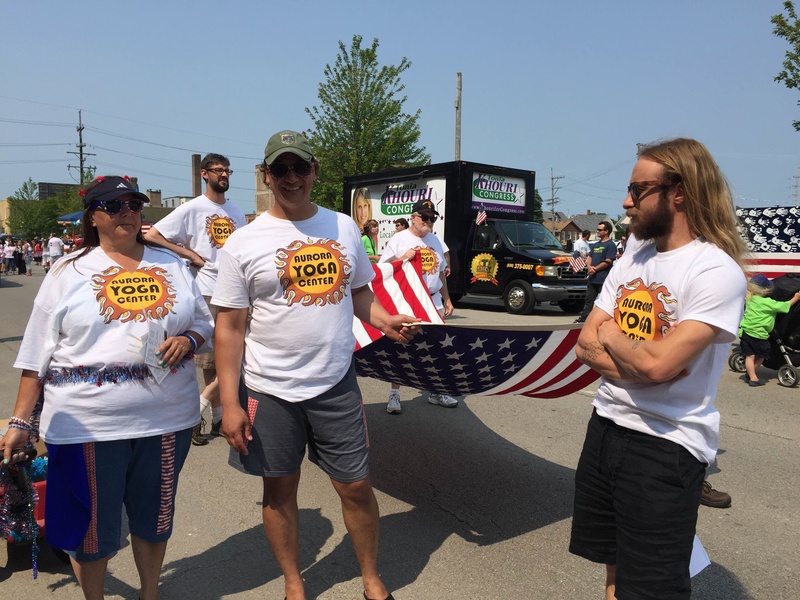 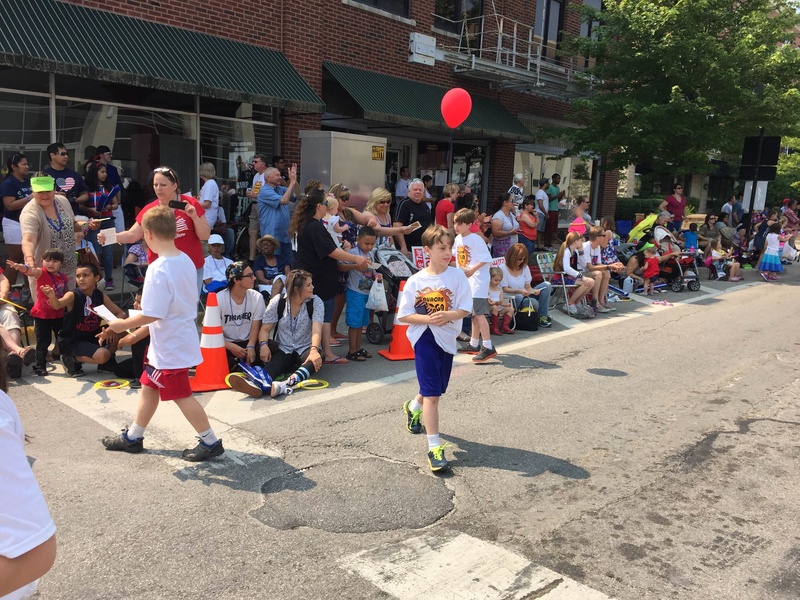 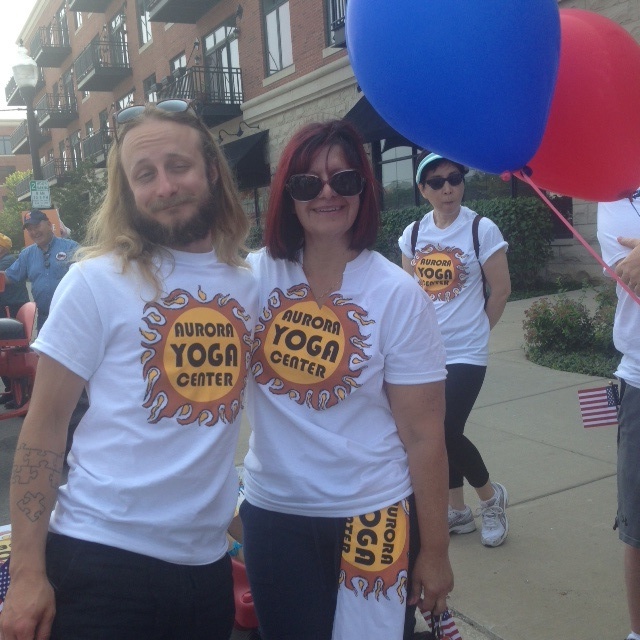 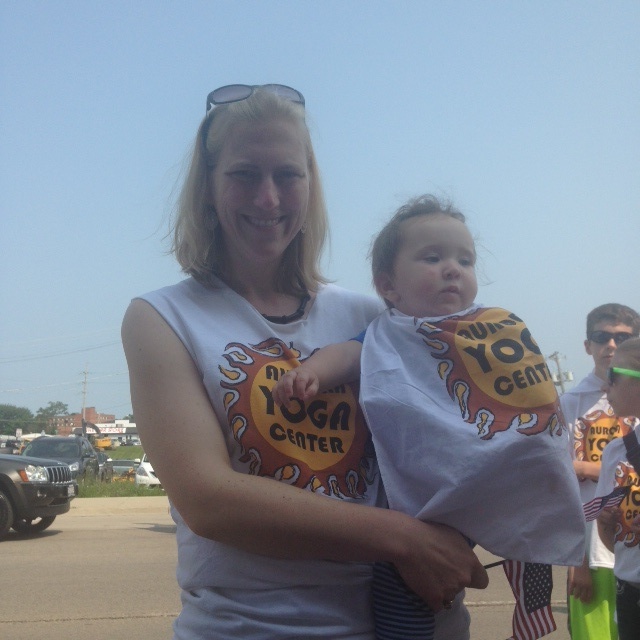 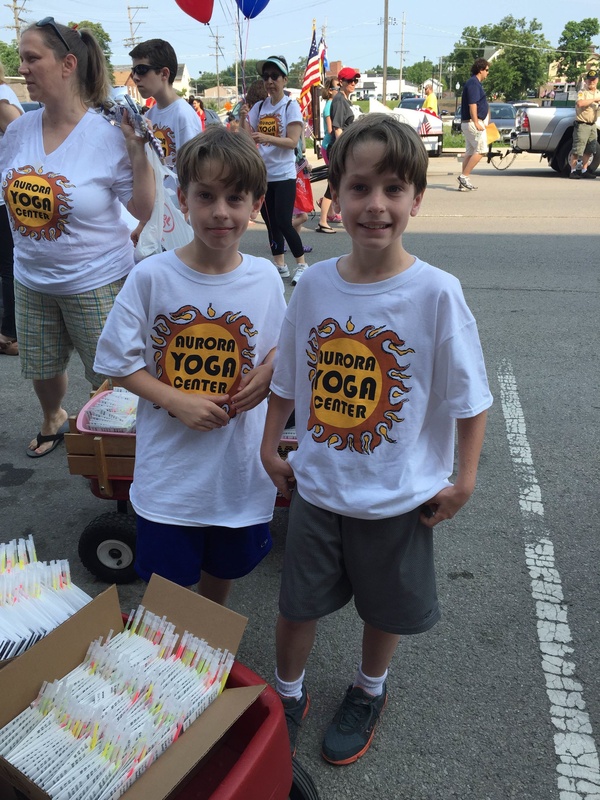 The Aurora Yoga Center walked in the 4th of July parade downtown Aurora and it was a good time! 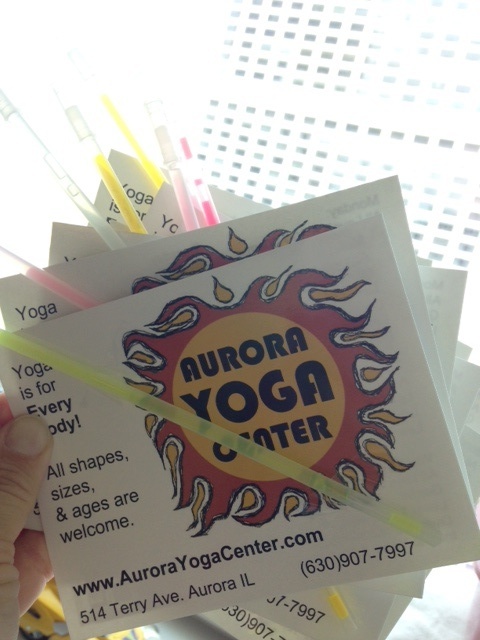 We handed out class schedule postcards with glow-sticks attached. 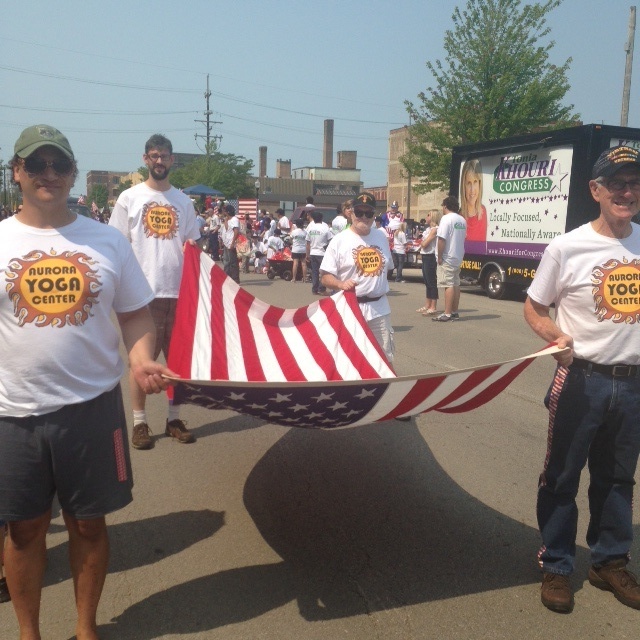 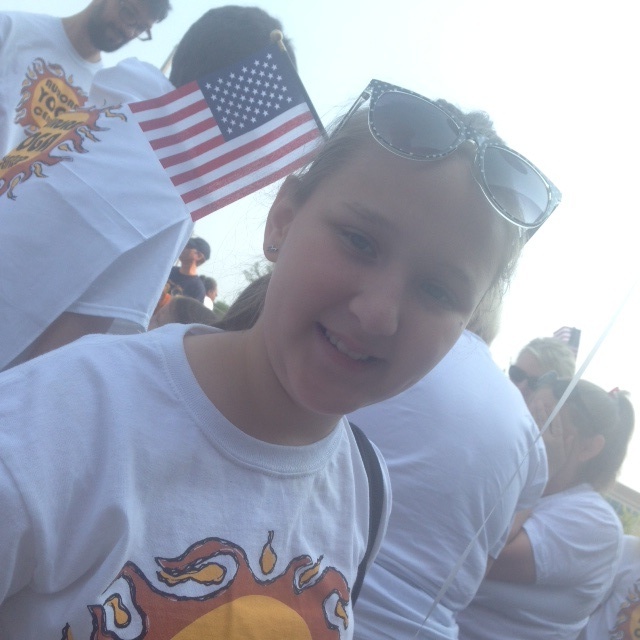 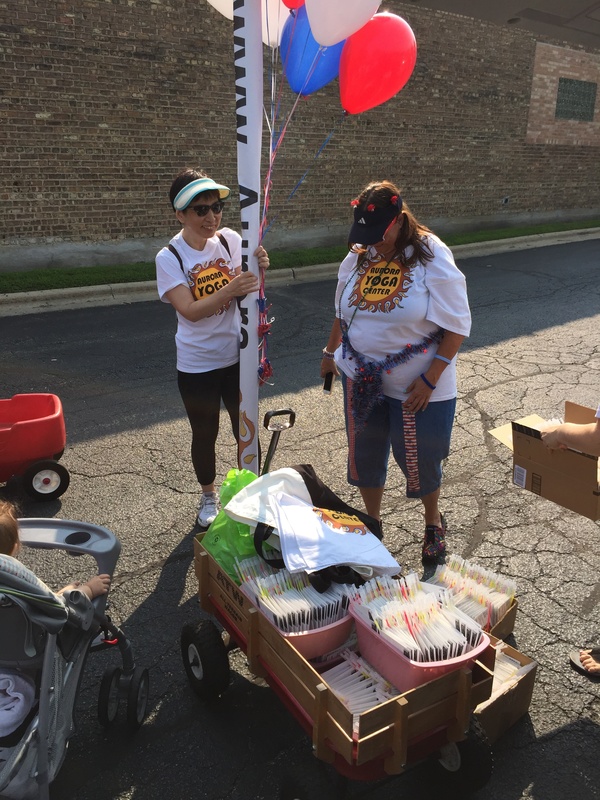 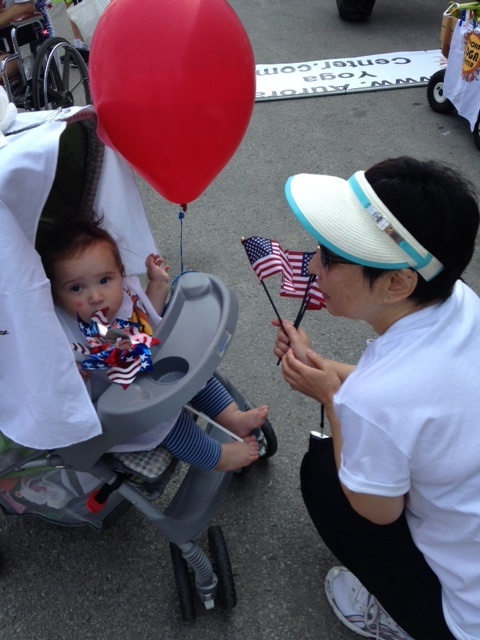 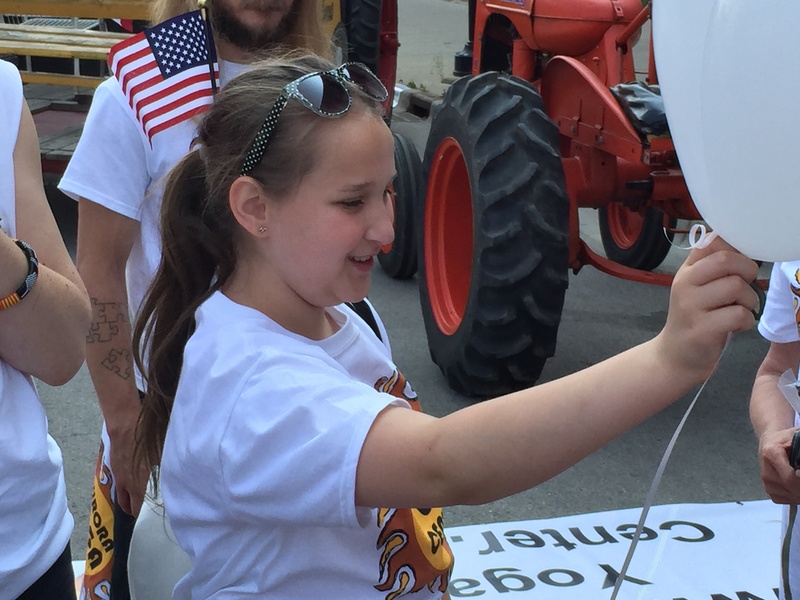 We wore AYC logo t-shirts and carried a big American flag. 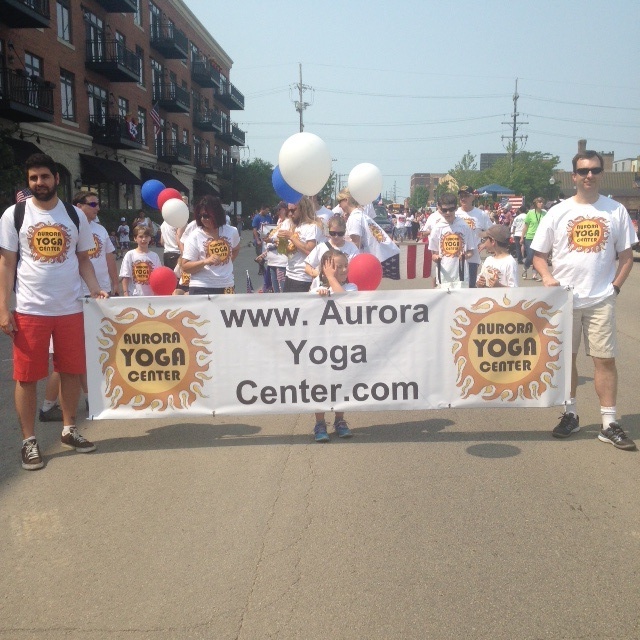 We danced & smiled & waved!